Patients with diabetes have increased risk of complications for many health concerns and one of the most important is foot damage. Those with diabetes often have neuropathy or nerve damage. This condition causes loss of sensation in the extremities like the legs and especially the feet. 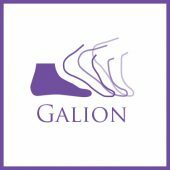 With reduced sensation in the feet, a small injury like a bruise, cut or puncture can quickly worsen into a serious problem before you feel or notice it. Another problem for those with diabetes is poor circulation. Diabetes causes excess sugar complexes and plaque in the blood as well as inflammation, so the blood vessels narrow and the blood flow decreases. These factors combine to cause poor circulation in the extremities, especially the feet and legs, which can hinder healing. Neuropathy and poor circulation create a fragile environment in your feet, and any small problem must be attended to immediately. One example is toenail fungus, especially if it has entered the nail bed and is harder to remove. This fungus loves warm, moist environments like the inside of your shoes. Because it is contagious, you can easily pick it up in public areas like spas, gyms, locker rooms, showers and pools. A fungal infection turns the toenails brittle and sharp, and they can pierce the skin and tissue around the nail, letting dangerous bacteria into your system. 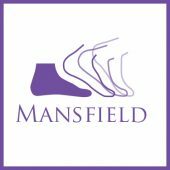 Don’t worry – we can treat fungal nail to get rid of the fungus and heal your skin. Used together, oral and topical medications can eradicate this fungal infection. If your case is advanced, we can surgically remove the infected nail to eliminate the problem. Check your feet every day and tell us of any problems such as cuts, bruises or changes in the skin. Wash your feet daily in soapy water and thoroughly. To avoid cracked skin, smooth on a rich foot cream or lotion – but not between the toes. Keep your feet dry with dry socks and shoes. Never go barefoot, especially in public areas. Wear flip flops in spas, gyms and poolside. Don’t round the corners when you trim your toenails as that can cause an ingrown toenail. 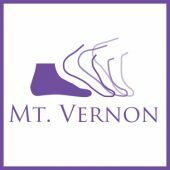 Please come visit us if you have calluses or corns that need attention, or if you are unable to cut your own toenails. We’d be happy to do it for you.